If you are serious about working in the image industry and building a rewarding business you need to listen to this informative webinar! 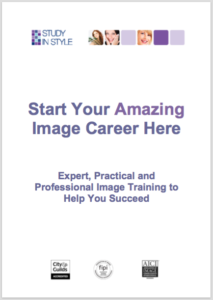 During the webinar Gail Morgan will be revealing her top 5 secrets to enjoying a successful Image Consulting Career. She will draw on her 20 years worth of experience as a consultant, coach and trainer to guide you. Hear from a true expert – you will learn invaluable information – whether you are just starting out or if you’re experienced and looking for inspiration. These 5 secrets are not necessarily listed in order of importance but they do actually interconnect. The ability to build relationships with clients, colleagues and other business owners. This is all to do with planning systems and time management to ensure that the business runs smoothly. Understand who your potential clients are, how to find them and how to inspire them to buy from you. The commitment to continuous learning is essential. This is deliberately not the first secret but having an innate creatively and ability to visualise outfits will be key to your success in this industry.